As you can see I have left my blog untouched for a few months again, but I shall make a post at least before the year ends. I usually have a best-of compilation post at the end of the year (I may have done it twice or thrice in the past years? 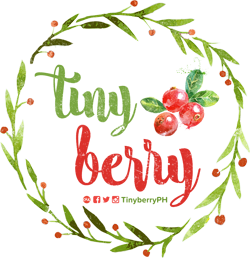 ), but this year I would just leave a short post here. Last Sunday of the month and year. Last post of the year. How to start it off… 2013 was a great year! It’s hard to find a good cab nowadays especially in this time where people begin to take advantage of other people because it’s Christmastime, and it’s not the good kind.. You hear about the terrible things happening to cab passengers in the news almost every week, and that takes a toll on you..
At the end of the day, it makes you want to disregard using cab services entirely and just go with commuting the hard way: Riding a public transportation, shared w/ a lot of people. Even though it’s a hassle, it’s safer (though not 100%, unfortunately!) because you’ll be with a lot more people. Strength in numbers, as they say. Also, it’s a lot cheaper and you get to save a LOT of money. So where does Grabtaxi come in from all this? They are a newly-established service in the Philippines (but they have been around Asia for sometime) that provides passengers an easier way to book a cab. This video will do a better explanation than I will, hehe. Plus, videos are much more interesting and attention-grabbing compared to reading. I found their little booth at the Blogapalooza event last month and got curious what kind of food they have for us to sample. At first I thought it, the donut, looked a bit strange, but after the lady representative explained their product to me.. I understood why it looks like that now. Mochi-like Mochi-shaped Mochi donuts, that’s the short version of it. It’s chewy and it’s not like the usual donut. Plus what you’ll probably love most about it is there is more than enough filling inside (only on some flavors, afaik) a donut so just imagine how mouthwatering it is going to be for you when you try one. These days I rarely attend blog events because I’m so out of the loop from it now compared to before. Granted that I do not update my blog that much anymore, simply because I’m almost always “working” and there aren’t much interesting stuff to share on my blog unlike before. It was all about school before, then lately it’s about the events I go to.. which isn’t consistent because I’m picky (also, can’t fund all the events I wanna go to, hehe). 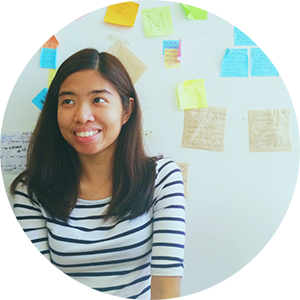 Heard about the Blogapalooza event from a blogger friend from few weeks back (or was it a month ago) who couldn’t made it because she’s based outside the Philippines as of the moment. Looked over it and it seem possible for me to go, so why not? I signed up and then was granted the privilege to go to it (yay!). Fast forward to the day itself…. my buddy and I braved our way to SM Aura. This would be our first visit to this new mall, and probably my 5th visit to BGC as a whole. I don’t really go to The Fort that much, it isn’t that accessible to me as a commuter. Yes I commute. Anyway! 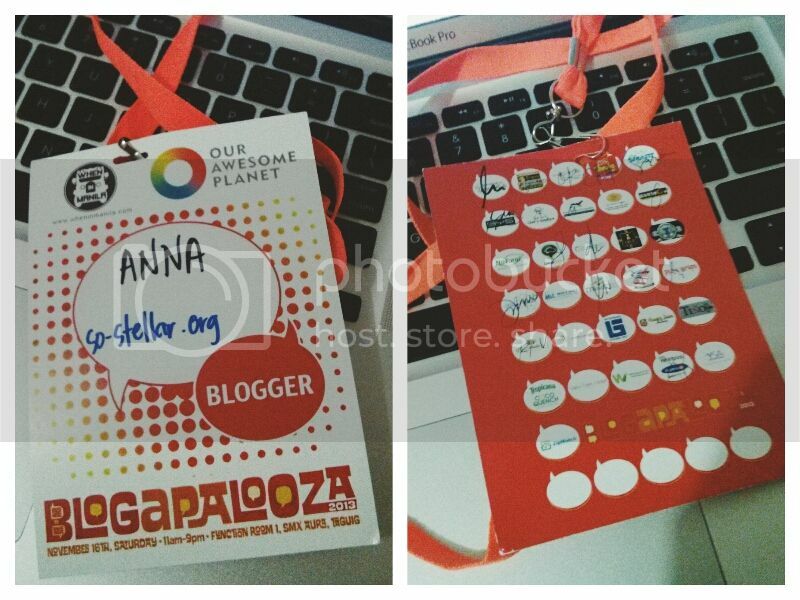 Here’s what went down in Blogapalooza 2013. We arrived late. I feel like I should emphasize this because being late made us miss a lot of stuff. That includes not having available seats in the area anymore where the mini-talks and program proper was held. We spent most of the time roaming around the booths, trying out their services and having our ID signed/stamped after. My only regret is that we wish we came by earlier so we did not miss on the important booths! Oh the fun activities we could have participated in.